Hello Friends! 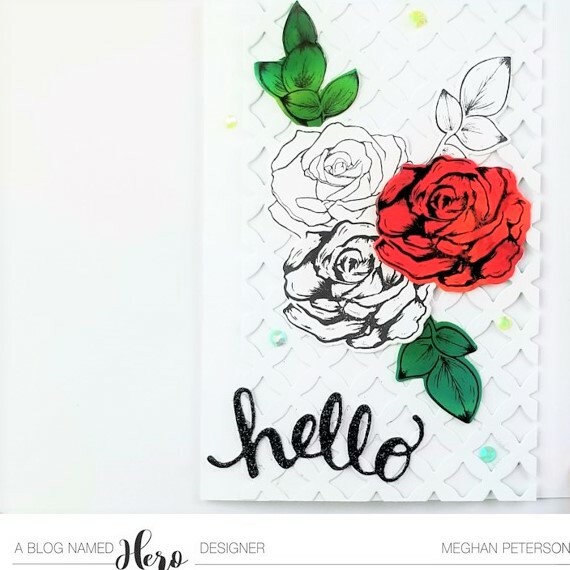 I am so excited to be back with another monthly challenge from ABNH: Put a Flower On It! And I am extra excited because "Put a flower on it" is basically one of my life's themes, and it's my birthday month so it seems super appropriate for me. Today, I'm exploring how to combine just black-and-white outline stamps with colored/colorful stamps for a modern, bold and classy look. The black and white really helps contrast vivid (or pastel!) colors while also filling out the card. For my first two cards, I combined colorful die cuts with the black and white to create striking bouquet in the center of the card. I first die cut from white cardstock The Bold Confetti Background die, and cut it down one inch, and put it in the center of the card. This will help give some visual gridlines and put the focus on our flowers. Then I used Archival Black Ink to stamp some outlines of roses onto some alcohol ink pieces I had done. Then, I stamped the same images onto just cardstock. I combined these two together to create two cards with a mixed bouquet. As you can see, this works great with just one focal color or multiple! I added a few colored gems for a bit more color, but otherwise everything is black and white to let the alcohol ink shine! For my last card, I used the outline stamp repeatedly on a background for a subtle but busy background to my vibrant alcohol ink flower. I love the bold but classy look you get from the crisp black and white to the big mix of color in the bottom right. I like how my sentiment almost blends into the background but is still easy to read. 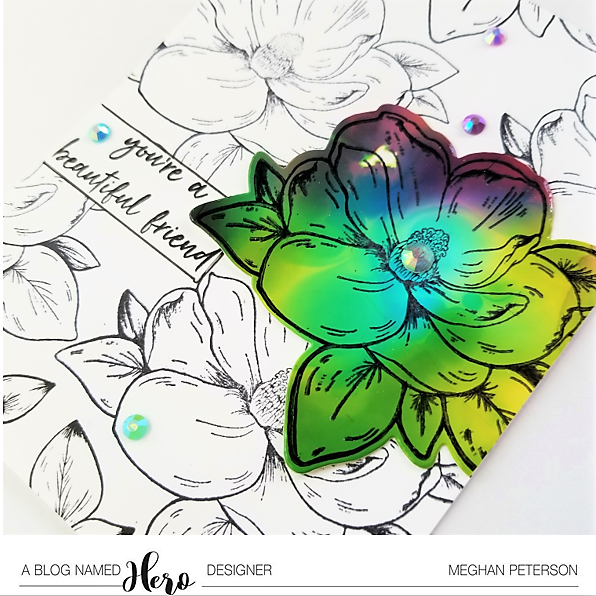 I hope this gave you some inspiration for how to use outline stamps without having to color every single one, and some new color schemes! And more importantly, I hope it inspired you to put a flower on it!! 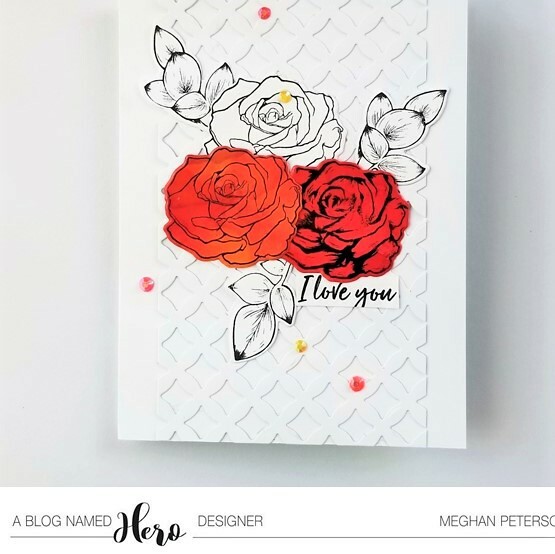 Make sure to stop by the ABNH blog and check out all the other designer's amazing floral cards!